s, and kids now: this can be entirely false. Plenty of kids with less than perfect vision love to play sports and they can play pretty hard. From soccer to tennis, football to gymnastics, the last thing you want is for your child to have to take off their glasses for sports essentially sending them in ‘blind’. That is why Wiley X designed the Youth Force line of prescription safety glasses for kids. These cool, rubberized frames and sturdy lenses were created to help kids with visual needs enjoy the sports they love alongside their peers. Wiley X put a lot of thought into what modern sporty kids need and the Youth Force line clearly demonstrates this care. Let’s take a look at just ten of the benefits your child will gain when wearing these sturdy prescription glasses out on the field. 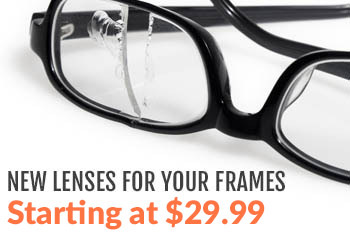 The most important part of these versatile sports glasses is their durable design. Parents are on the edge of their seat if a child decides to wear their everyday glasses into a sports situation because there’s always a chance one wrong impact will break the frames for good. But not the Youth Force line. Designed with smooth edges and reinforced hinges, Wiley X Youth Force glasses are prepared to hit the turf more than a few times with nothing to catch on and incredibly sturdy materials. You won’t have to worry about replacements or damaged child faces with any of the models available. Traditional everyday glasses are made with a combination of thin metal and hard plastic. While this is perfectly practical for sitting in the classroom, almost any kit can tell you that it hurts like the dickens if anything actually impacts normal glasses while they are on your face. From earpieces digging into your temples to nose pieces cutting into your eye sockets, no one likes the feeling of having hard glasses parts abruptly jammed into their face. The designers of the Youth Force line, however, were clearly aware of this problem and found a solution: full frame rubberization and even softer rubber for the nose and earpieces. The smooth, rounded design ensures there are no small parts or sharp edges to cause a problem and the softer material prevents any cuts or scrapes from glasses-impacts making it much safer to play with spectacles on. Youth Force glasses are all equipped with shatterproof polycarbonate safety lenses rated for ASTM F803 sports safety standard meaning your child’s eyes are safe from an risk of shattered plastic. One of the best things about the Youth Force line is something almost no normal pair of glasses could offer: earpiece versatility. While the normal mode for these glasses is highly safe and secure as children’s glasses go, the earpieces also pop right off with the touch of a button by the temples and can be replaced with a matching elastic goggle strap. This can old the glasses to your child’s face safely and very securely so there is no risk of watching those spectacles fly across the field after an unusually hard head-shake or impact. Your child will never have to stop and adjust their glasses or retrieve them from the sidelines and can switch back to earpieces when the game is done. Recent studies have parents increasingly concerned about exposing their children to too much UV light. Of course, you also wouldn’t dream of keeping your kids out of the sunshine when they actually want to play outside. The polycarbonate lenses in Youth Force glasses provide 100% UV protection from both UVA and UVB rays. 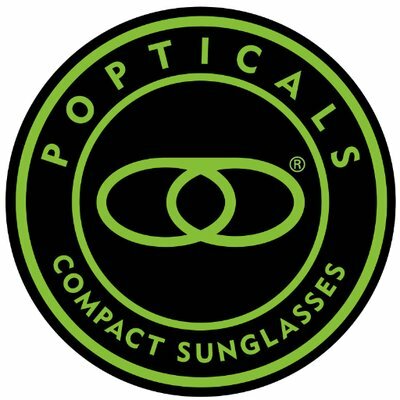 Simply including this feature in your child’s favorite outdoor glasses can help protect them from eye deterioration and the risk of cataracts later in life. When you are no longer worrying about the safety of your child’s face the next set of parental concerns for glasses on the field are scratches on the lenses. There are a lot of ways to fix a pair of glasses but scratches are almost always a permanent loss in quality and visual clarity. No doubt, you’re going to be a little hesitant about a new pair of glasses if you’re afraid they’re just going to get scratched up. But have no fear. Wiley X saw this one coming too. The lenses in the Youth Force line are always treated with a strong scratch-resistant T-shell coating to give your children worry-free play and safe intensive practice without risking a single scratch on their lenses. 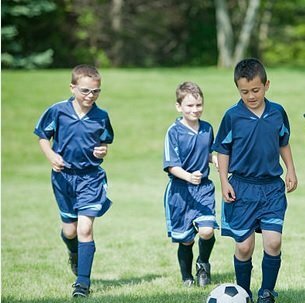 Sports glasses for children and teens are often more like goggles than actual glasses. While this makes sense from a sports-field perspective, it may not be the best solution for parents who would rather only pay for a single superb pair of glasses and once again, the Youth Force series has you covered. Every pair of Youth Force glasses is designed to look good not just on the field, but also in the classroom, after school, and even at formal events. These glasses are great everyday glasses as well as transforming with the elastic strap into prescription goggles for active play. While adults usually go with plain metal or dark plastic glasses to keep it semi-formal, kids can be very particular about their favorite colors. From the single-minded pickiness of elementary aged children to the need for personalization seen in all teenagers, it’s vital that your child’s glasses come in a color they like and that flatters them. The Youth Force line comes in a wide variety of styles and colors so that your child can always find their favorite combination of colors for optimal personalization. Their eyes will not only be safe and visually corrected, they will be decorated in a unique way your children and teens will love. And on top of all these perks, Wiley X maintains their incredible reputation for providing safety glasses that also have great visual clarity. From the UV protection to the scratch-resistant coating, Youth Force lenses are so clear you’ll have trouble seeing the lenses unless you hold them up to the light. Or, of course, when they get covered in greasy child fingerprints as almost always happens. But with a little spritz of glass cleaner and a quick wipe, they’ll be crystal clear for class once more. Finally, if one of your older children needs visual correction and gets a cool pair of Wiley X Youth Force glasses, there is a high possibility that a younger sibling might want a pair as well. Even if they don’t need glasses. As a parent, you can no doubt see the value of your children wearing safety glasses out on the field with or without a prescription and Wiley X is there for you. Youth Force glasses can be ordered with both prescription and non-prescription lenses so that siblings without visual correction needs can join in, too. Not to mention, protecting their eyes from flying rocks, sticks, and the limbs of other children. If you’d like more information about how to get your kids a pair of cool Wiley X Youth Force prescription safety glasses for both school and sports, contact us today!